In the mood for some takeout Indian last night we decided to order from Bombay Palace. It had been ages since I ate anything cooked up in their kitchen, but five years ago I used to order from their Jarvis Street location somewhat religiously. Back then I always got the same thing - aloo gobi and daal - and that's what I was game for last night as well. 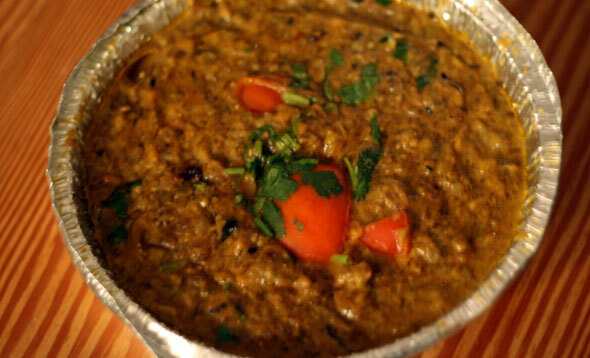 Along with those two dishes, we also ordered the eggplant barta ($9.95) but skipped out on any rice or naan, instead deciding to make some brown basmati at home in the 30-35 minutes they said it would take our meal to be ready. Pick-up was hassle-free. The food was ready when I got there and they even threw in a complimentary portion of channa masala. All together it came to about $27 including taxes and the 10% discount they apply for take-out. We were hoping for something spicy so when I placed the order I asked them to up the heat level to medium. But even that didn't result in much of a kick. The food was served in generous sized containers. We didn't think we ordered that much but after two full plates each we realized we had enough leftovers for lunch the next day. The aloo gobi was the clear favourite. Actually, it's listed on the menu as cauliflower masala ($8.95) but it was served with potatoes which pretty much makes it aloo gobi. 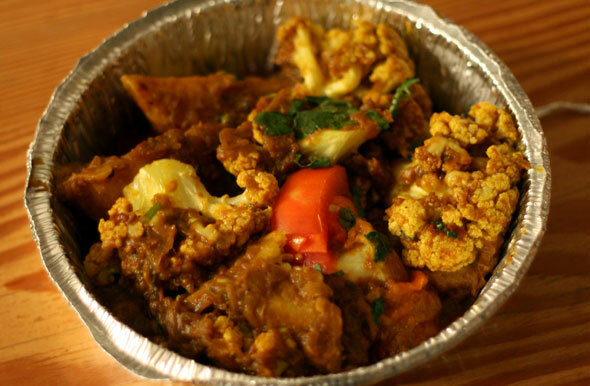 For those scoring at home, aloo means potatoes and gobi means cauliflower. Both were cooked just right -soft (but not mushy) and with enough flavour to enhance what otherwise could be two very bland ingredients. 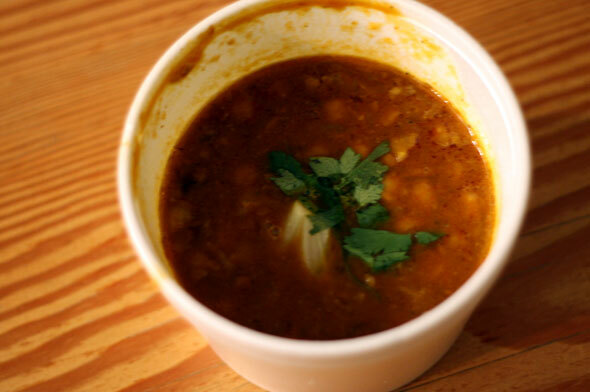 The daal ($7.95) was also a winner. 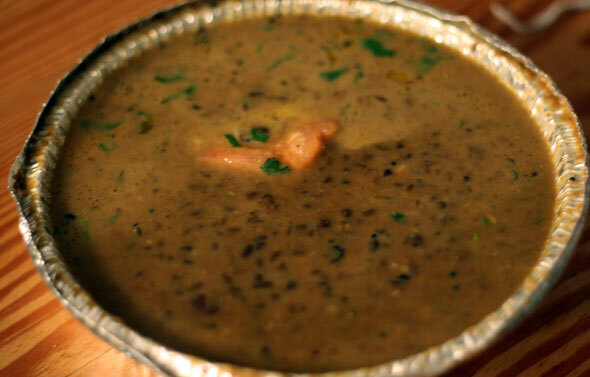 Unlike many Indian restaurants in Toronto , Bombay Palace makes a black daal with lentils and kidney beans instead of the usual red or yellow varieties. This results in a richer flavour and a nice dark colour to contrast with the rice. The eggplant barta was also tasty. Another generous sized portion added some smokiness to the meal. This was achieved because first the eggplant was grilled over charcoal before mashed and then cooked with fresh tomatoes, onions and spices. The channa masala was ordinary. I consume channa way too often (it's a favourite filling of mine when I eat rotis) so it's not something I'd really think to order from Bombay Palace. But, hey, for a free add-on, I don't really have anything to complain about. Overall, the meal was just what we wanted, minus any intense spices. I definitely won't wait another five years before I order from here again.